Mahindra's new offering - a hatchback, to be called as Verito Vibe will be launched on 5 June across all dealerships in India. The hatchback has started reaching the dealerships and one of the image spotted from dealership is here. Looking at the pricing of the Verito sedan, the Verito hatchback is expected to be launched at extremely competitive pricing levels and will compete with all currently prevalant hatchbacks in the market. The engine would be carried over from the Verito sedan and will thus be powered by 1.5L K9K Diesel motor. If viewed from the front and the sides, the body has been kept unchanged to keep the development costs low whereas the major changes could be seen in the C-pillar as the lighting now come on the C-pillars in sync with the roof line. Seems like the new boot will have subsidized effect from the pricing angle but will also have sufficient amount of boot space, as could be seen from outside. The exact dimensions still not revealed by the carmaker. The Verito sedan is currently powered by 1.4L Petrol engine alongwith 1.5L Diesel engine however the hatchback - Vibe is expected to be launched only in with 1.5L K9K Diesel engine which is known for its reliability, responsiveness and excellent fuel efficiency and expected to replace soon the current Fiat's 1.3SDE engine which powers most of diesel cars on Indian roads. 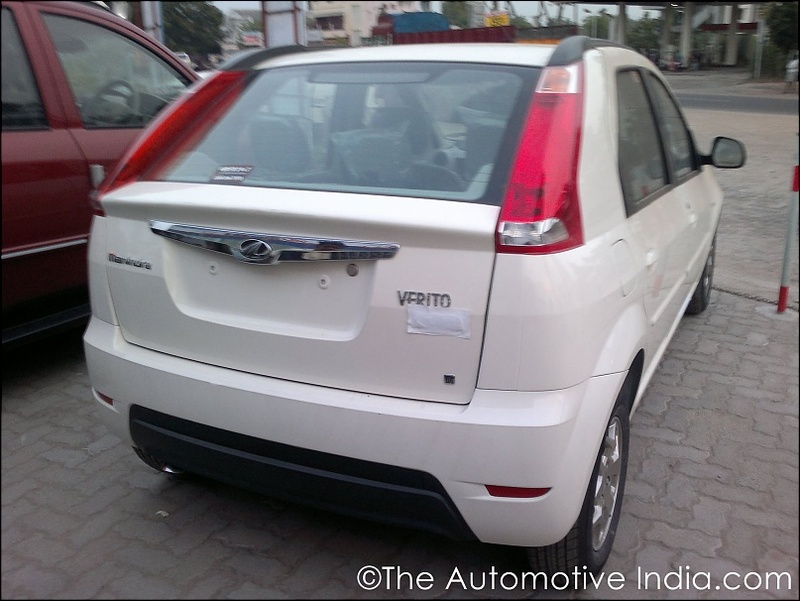 The diesel powered Mahindra's Verito Vibe is expected to be launched around price tag of Rs 5 Lac.